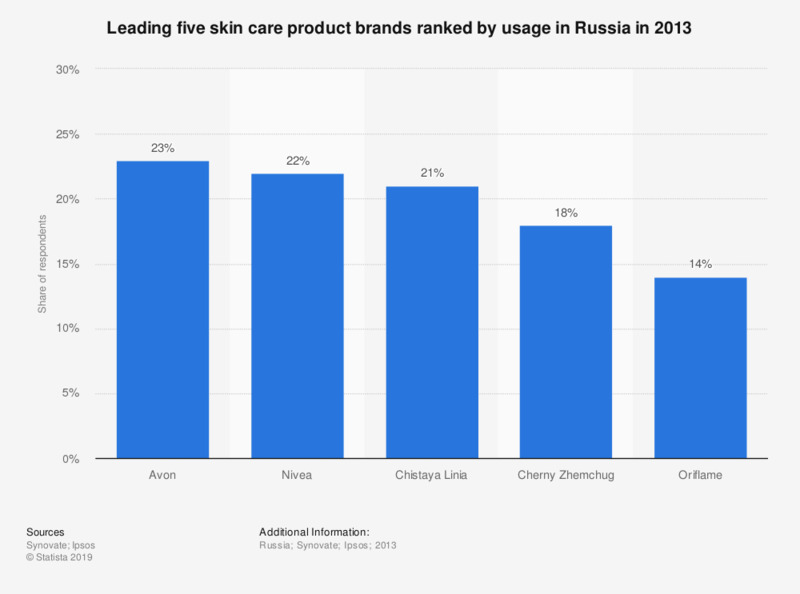 This statistic presents the leading five skin care product brands used in Russia, ranked by consumption in 2013. Avon ranked as the most popular brand at that time, with 23 percent of Russian consumers using Avon skin care products, followed closely by Nivea with 22 percent. Number of respondents and survey method not provided by the source.